A major new federal climate science assessment, released in draft form on Jan. 11, finds that “climate change is real and accelerating,” and that myriad impacts are already being felt in the U.S., from more frequent, hotter heat waves, to coastal flooding and precipitation extremes. The report, which is the first since 2009 to systematically examine the effects of global warming on the U.S., bolsters some of the conclusions of the previous report and cites new findings showing that the country is already experiencing a wide range of disruptive impacts from global warming, primarily through the changing frequency and severity of weather extremes. 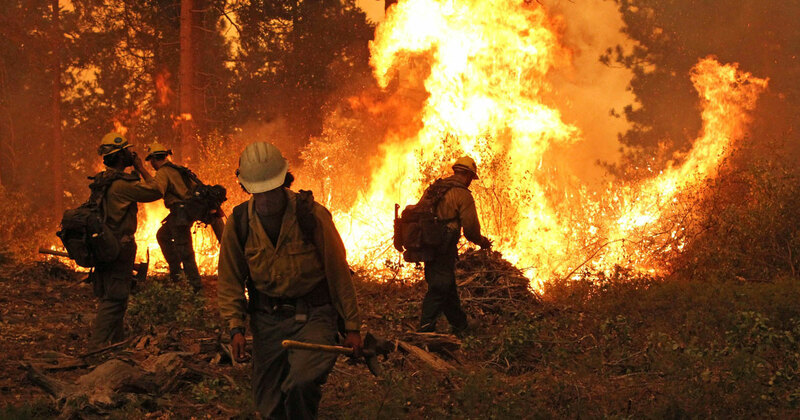 For example, the report cites “strong evidence” that manmade global warming has “roughly doubled” the probability of extreme heat events, such as the record hot summer of 2011 in Oklahoma and Texas. It also notes that sea level rise is exacerbating storm surge problems along the East and Gulf Coasts, and that sea level rise played a role in exercerbating the impacts of Hurricane Sandy. Global annual average temperature (as measured over both land and oceans; scale on left) has increased by more than 1.4°F (0.8°C) since 1880. Red bars show temperatures above the long-term average, and blue bars indicate temperatures below the long-term average. The black line shows atmospheric carbon dioxide (CO2 concentration in parts per million (ppm); scale on right. While there is a clear long-term global warming trend, some years do not show a temperature increase relative to the previous year, and some years show greater changes than others. These year-to-year fluctuations in temperature are due to natural processes, such as the effects of El Niños, La Niñas, and the eruption of 12 large volcanoes. Figure source: NOAA NCDC. Temperature data from NOAA NCDC 2012; CO2 data from NOAA ESRL 2012. Click to enlarge the image. Credit: National Climate Assessment. Many news outlets have already provided broad summaries of the draft assessment, including the The Guardian, Washington Post, Los Angeles Times, Nature, and the Huffington Post. (The executive summary from the report itself is posted below.) But digging deeper through the nearly 1,200-page report reveals there are myriad charts that update past findings on climate change, and which take advantage of recent advances in computer modeling to provide new insights as well. First and foremost, the report strongly states that human activities — mainly the burning of fossil fuels for energy, which emits heat-trapping greenhouse gases — are changing the climate in ways that are already harming the U.S. 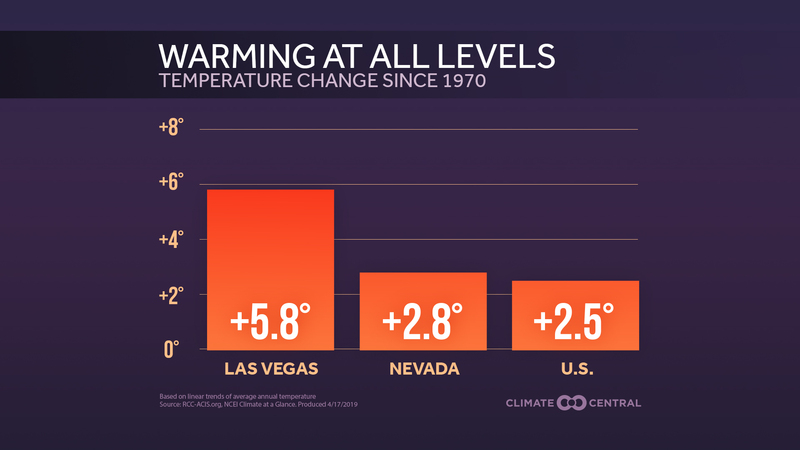 The report said that the U.S. has already warmed by 1.5°F on average since 1895, with more than 80 percent of that increase occurring since 1980, and it projects a further warming of up to 4°F during the next few decades. Depending on how successful the global community is at slashing emissions of greenhouse gases—with little success so far—the report projects the U.S. will warm between 3°F to as much as 10°F by the end of the century. According to the report, the world is currently on a path to exceed the highest emissions scenario put forward by the U.N. Intergovernmental Panel on Climate Change (IPCC), which is an indication that the highest-warming scenario may be the most plausible one at this time. A key point regarding future warming is that much depends on choices made during the next one to two decades, and how sensitive the climate system is to the continued buildup of greenhouse gases. “There is mounting evidence that the costs to the nation [of global warming] are already high and will increase very substantially in the future, unless global emissions of heat-trapping gases are strongly reduced,” the report said. The report details precipitation changes across the U.S., and shows that while many regions are getting wetter in response to the warming climate, other areas are drying. In particular, the report shows that the Southwest, Southeast, and the Rocky Mountain states have seen precipitation decreases. These trends are exacerbating water supply concerns and increasing drought and wildfire risks as well. The report is the product of more than 240 experts from multiple agencies and scientific institutions. It is now subject to public comment, and will undergo a review by the National Academy of Sciences, National Oceanic and Atmospheric Administration (NOAA), and other government agencies, before being transmitted to the White House and Congress. 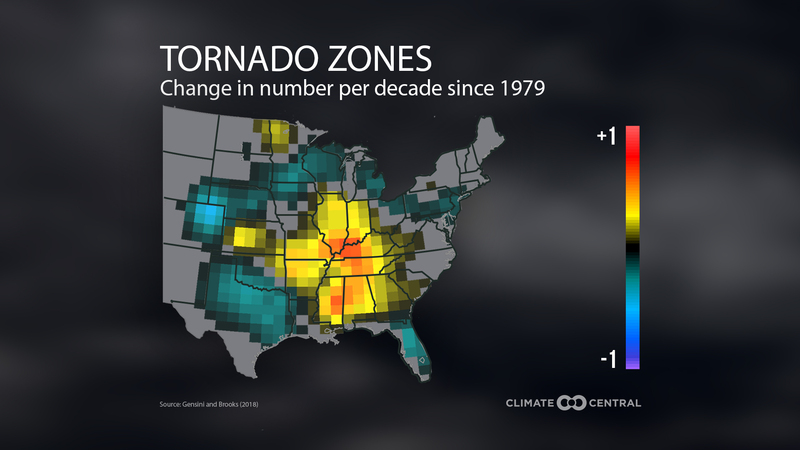 The report draws from studies published through July 31, 2012, although it also includes references to extreme events that happened after that date, such as Hurricane Sandy, which occurred in late October.